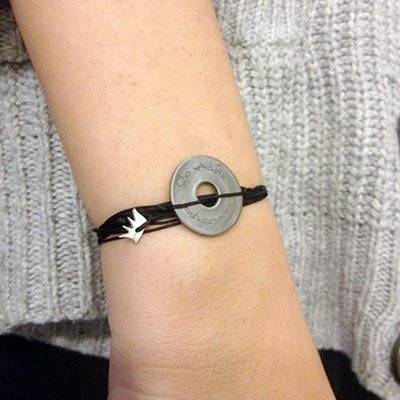 The Prigkipo girls made one of the most minimal and easily wearable charms this year. 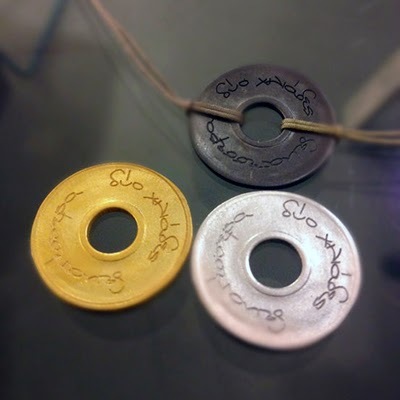 Made out of 925 silver in gold, black platinum or sterling silver finish, their charm looks like an old coin (on purpose) and you can wear it either as a necklace or a bracelet. It costs 23-25€ (depending on the finish) and you can find it in Prigkipo's Etsy shop and at their little workshop in 16 Thisseos st, Athens. 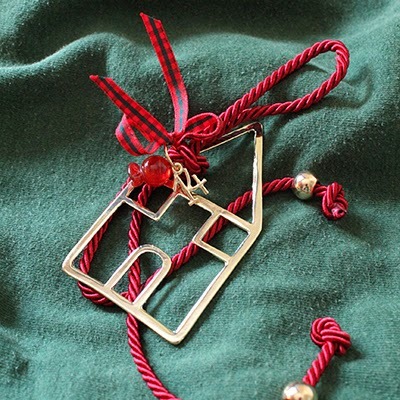 This cute and really affordable 2014 good luck charm shaped like a home was created by Zoulovits for the SOS Children's Villages. 1€ out of its 12€ price will be offered to their cause. Great price, good design for a good cause, and you can order it online = win! Find it here or browse all Zoulovits 2014 good luck charms here. Yazzt Design is Antonis Kiourktsis and Antonella Nikolopoulou, two architects who make jewellery by scanning parts of the human body, translating them into 3D polygons and then 3D printing them using metal. 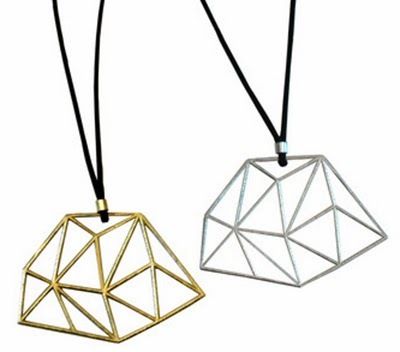 Their 2014 good luck charm "Made on You" was designed by tracing the curvature of a woman's clavicle, translating it into a 3D polygon made out of 14 triangles and 3D printing it in bronze and silver. Find Yazzt Design on facebook here. For the more old-school kind of you, here's the only traditional jewellery shop 2014 charm that passed my test. 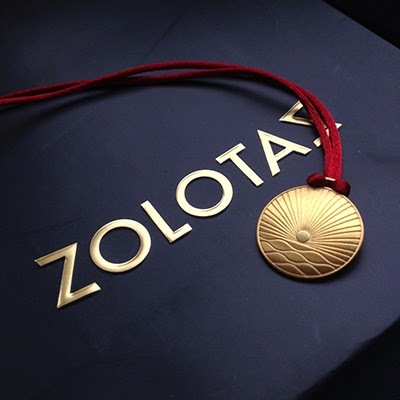 Zolotas made a whole collection of charms based on the ancient greek myth of Alcyone, where the halkyon birds got their name from. And when I say a whole collection, there are 35 pieces to chose from, from silver to gold to diamond-encrusted-platinum. Don't worry, they don't all break the bank. This gold-plated silver charm is totally affordable at just 30€, plus it's not year-specific, so you can wear it as jewellery forever.